Invite into community. Involve through service. Inspire hearts and minds. We are a caring community that inspires, nurtures and empowers one another. With trust, respect and compassion, we strive to listen deeply, communicate clearly and act with love toward one another, our community and the world. The Unitarian Universalist Fellowship of La Crosse was formed in the 1950s as an independent member congregation of the Unitarian Universalist Association (UUA), based in Boston. We are a vibrant, growing congregation with open minds, willing hearts, and working hands. On Sundays you’ll find inspiring and thought-provoking services, supportive and engaging lifespan education, opportunities to live out your values, and refreshments and fellowship after the service. We have more than a hundred adult members and friends and 30 children and youth in our lifespan education program. 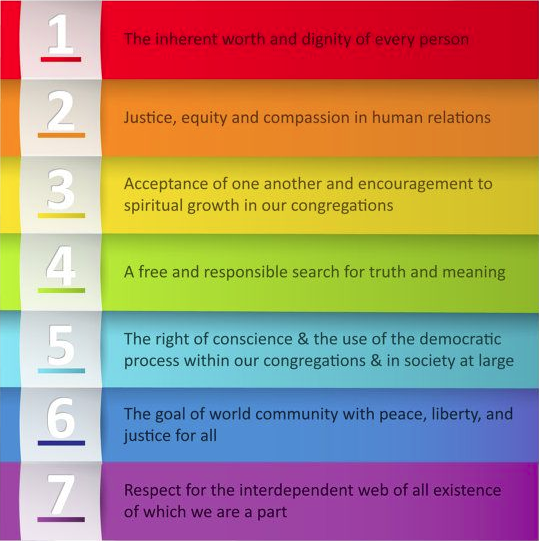 Like many Unitarian Universalist congregations, we were lay-led and self-governed. Our members come from a variety of backgrounds and include university students, young families, singles, married or partnered folks, working professionals, artists, and retired seniors.